Despite having millions of international and local tourists flock to its beaches every year, Bali is no longer just garnering international attention as a tropical paradise, but for the 300 tons of plastic marine pollution produced per day. While there have been many community initiatives to address the mounting waste, support from a diverse range of stakeholders is urgently needed for the effort to be effective and sustainable. In support of a Plastic-Free Bali, Kopernik with Akarumput and Potato Head Bali will launch the Pulau Plastik series, with a screening of the pilot episode on 1 February 2019 at Potato Head Beach Club, Kuta. “Through Pulau Plastik, we want to increase public participation and encourage multi-sectoral collaboration between community, government, and the private sector to tackle plastic pollution in Bali,” said Ewa Wojkowska, COO and Co-Founder of Kopernik. Denpasar Mayor Rai Mantra and Suzy Hutomo - the CEO of The Body Shop Indonesia, will speak at the launch event, which will be closed with a performance by Bali-based grunge band, Navicula. Pulau Plastik is an edutainment series that leverages popular culture as an approach to reach communities, increase public awareness and help residents create positive change on their island and beyond through better waste management practices. The series stars Gede Robi Supriyanto, an environmental activist and front man for Bali-based band Navicula as its host. Robi believes that the Balinese philosophy of Tri Hita Karana – which focuses on harmony between humanity’s relationship with God, with each other, and with nature – can be the foundation to address Bali’s plastic problem. “We only need to reflect on ourselves. 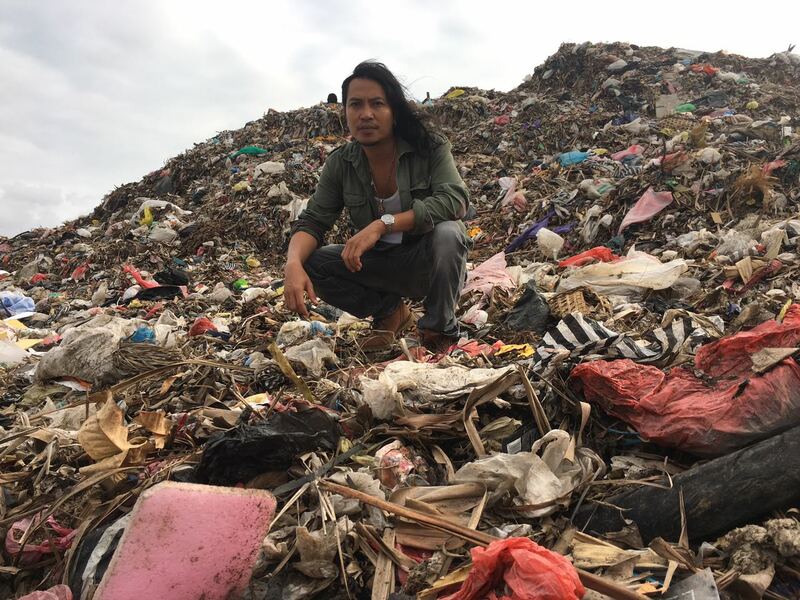 Who else will feel the impact of plastic waste – if not ourselves,” said Gede Robi Supriyanto, environmental activist and front man for Bali-based band Navicula. In the pilot episode of Pulau Plastik, Robi scours through rivers in Semarang, Central Java to understand the pressing issue of micro-plastic in marine life. Featuring Inneke Hantoro, a researcher from Soegijapranata University leading the world’s largest study on microplastics, the episode takes the audience from the river to the table and finally to the lab. Many other stakeholders concerned with the issue of plastic waste are also showcased in the series, including volunteer clean-up groups and community initiatives such as Trash Hero, Malu Dong, Eco-Bali, Simalu App, Kono, Trashstock Festival, Bersih-Bersih Bali, and Manik Bumi; activists and artists based in Bali; cultural and spiritual leaders; and businesses such as Tiara Dewata and The Body Shop; academics and researchers; as well as public officials.